Several SUNY Oswego students spent part of their summer in Vietnam, helping test and refine advanced anatomical medical training tools and immersing themselves in a new culture. 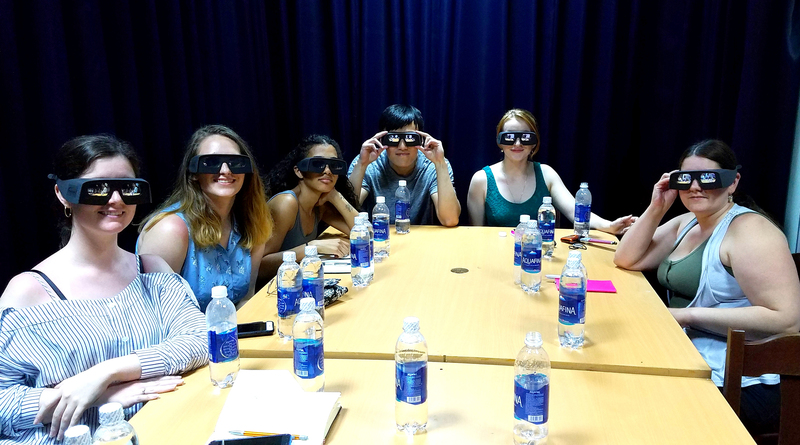 OSWEGO — Seven SUNY Oswego human-computer interaction students spent part of their summer in Vietnam working on advanced technology, making new connections and sharing their knowledge. Partnering with Jolanda Tromp — the director of the Center for Visualization and Simulation of Duy Tan University, who has also taught at Oswego — the students worked on training tools that will aid medical and other professionals. The center specializes in developing a range of 3D virtual simulations. Oswego students worked with the center’s main software products, for a human anatomy training tool that can run on phones, tablets and desktops as well as in virtual reality headsets. Each HCI student has to complete two graduate research projects, and many found this an excellent opportunity for obtaining international experience and hands-on user interface/user experience (UI/UX) work. Somewhat of a language barrier existed, but students from both cultures found ways to work together. “I did learn that I’m really good at communicating with body language,” LeRoy said. It helped that the teams had a common goal, significant technical knowledge and adopted a can-do attitude, she added. An opportunity for Reynolds and fellow HCI student Tara O’Grady to present at the large Google I/O conference in Vietnam came via Tromp, who was asked to speak but “thought it would be a great opportunity for us instead,” Reynolds said. Reynolds and O’Grady, who started Oswego’s Girls Who Code chapter in 2017, had an opportunity to pass along their success to contacts in Vietnam, both through presenting at the large SURF (Start Up Really Fast) business startup conference in Da Nang and in the local community. In Vietnam, they were happy to share what they learned with Trang Han Tran, founder of Enouvo IT solutions. “She had been wanting to do this herself for years, but had never found the time to start,” Reynolds said. LeRoy and fellow Oswego student Zhushun (Timothy) Cai had the opportunity to help edit parts of a forthcoming book from Wiley publishers, “Virtual Reality, Augmented Reality Technologies and Applications for Health And Medicine.” LeRoy expects this to lead to related editing opportunities. The students said they enjoyed becoming immersed in a different culture. They traveled extensively to historic sites and natural attractions in the countryside and became familiar with the pace and people of Da Nang. The city of Da Nang is rapidly updating and upgrading its infrastructure and buildings, and most of its bridges have been constructed in the past few years, LeRoy said. During her relatively short stay there, she saw a whole apartment building constructed from the ground up. The people seemed to be “always on the go,” but not necessarily hurried, LeRoy said. She saw much of her neighborhood get up early, go to the beach to do yoga, go to work, come home and then find productive ways to spend their time. Reynolds appreciated the work-life balance she saw. Like the other students, Medonza would love to return, too — and he would like to call the place home.